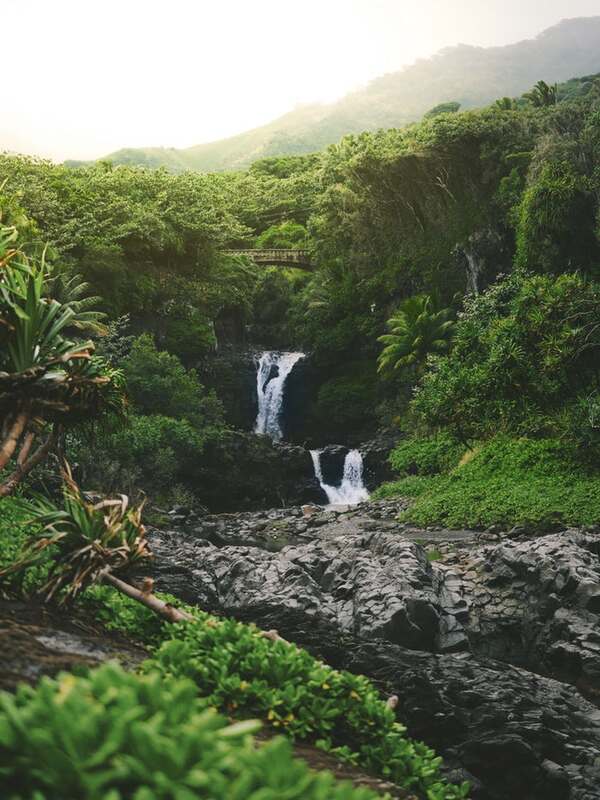 Hiking in a tropical paradise with panoramic views, breathtaking waterfalls and volcanic landscapes is on the bucket list of many, especially when considering the island of Hawaii. With trails ranging from family-oriented or easy to skilled or expert,this chain of volcanic islands offers opportunities to explore unlike any other place on Earth. 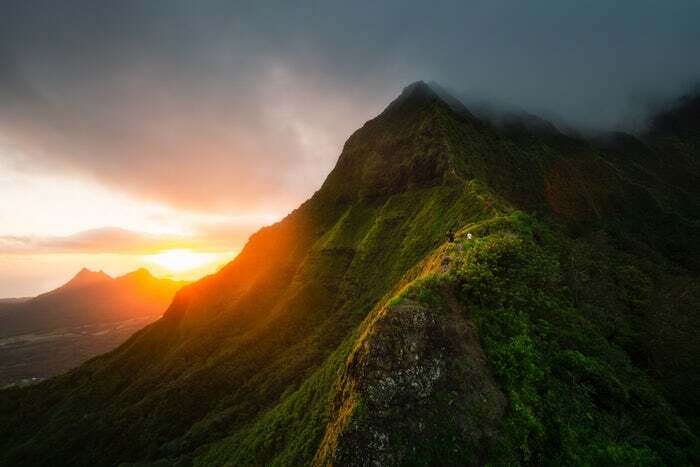 One of the most famous hikes is the Kalalau Trail. 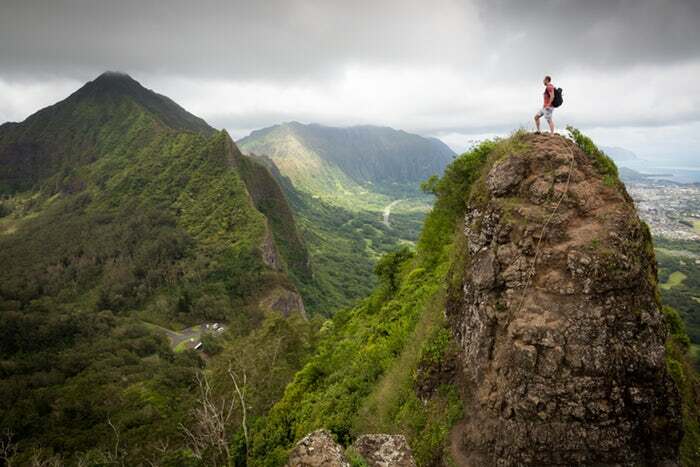 This 22-mile round trip hike located on Kauai, traverses through five valleys and across cliffs. Here you will find epic views on the NaPall Coast. 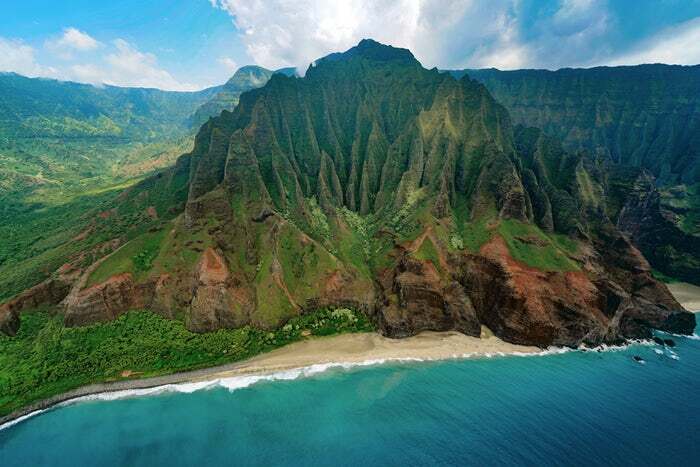 It leads to Kalalau Beach, which is only accessible via this hike. It is a tropical paradise where you will enjoy panoramic views, turquoise water and white sand. However, please beware. Trails are narrow and quickly flood. Falling rocks make for unsafe swimming. Always remain cautious, but what an experience! It’s an outstanding hike. 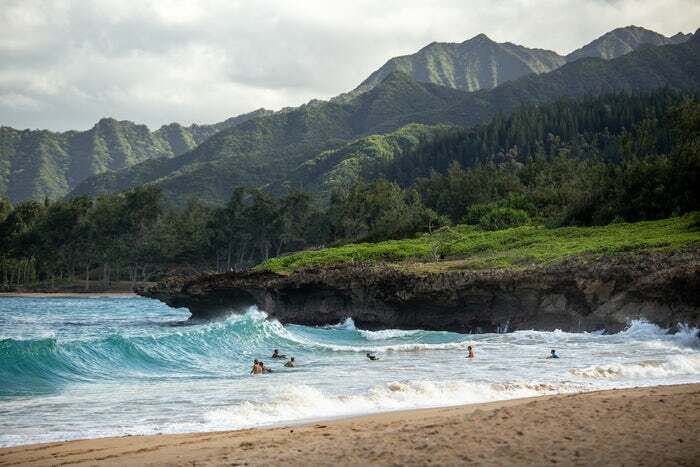 Kaena Point is another popular destination. This is an easier hike with some folklore attached. It is said to be the place where souls go after death to leap into the otherworld. 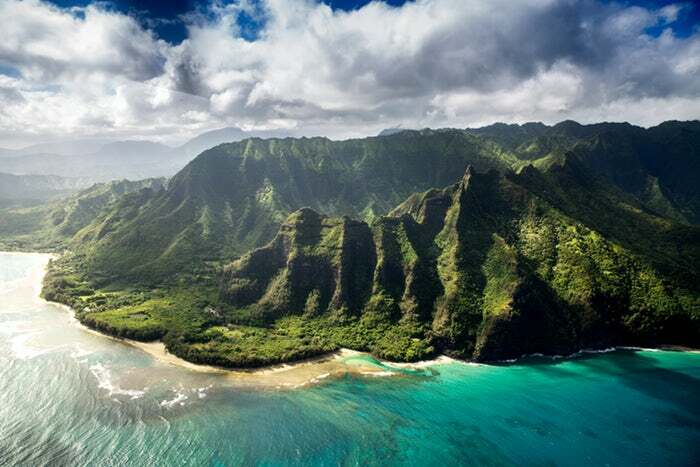 This wraps around Kaena Point on the western tip of Oahu where a lighthouse oversees a serene beach. 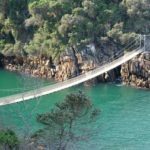 Here there are natural tidepools, stone arches and stunning views. Often monk seals can be seen lounging in the tidepools. Little shade can be found on this hike, so remember to pack plenty of water and sunblock. Diamond Head Trail is another easier hike on Oahu on the edge of Waikiki Coast. This three-mile round trip hike has a 500’ elevation gain with two sets of steep stairs, which can be strenuous, but it’s worth it. It winds inside an extinct crater where volcanic rock covers 450 acres. At the summit you will reach the Diamond Head State Monument where on a clear day you will see a spectacular view of Oahu’s popular south shore. Another great hike is the Koko Head Crater Trail, which is also on Oahu. Depending on your ability, this hike will be thirty minutes to an hour, but it is one of the best. Be sure to take breaks as you climb the 1,000 steep stairs. This trail can be a grueling workout, but the panoramic views of Diamond Head and lava rock beaches are most rewarding! 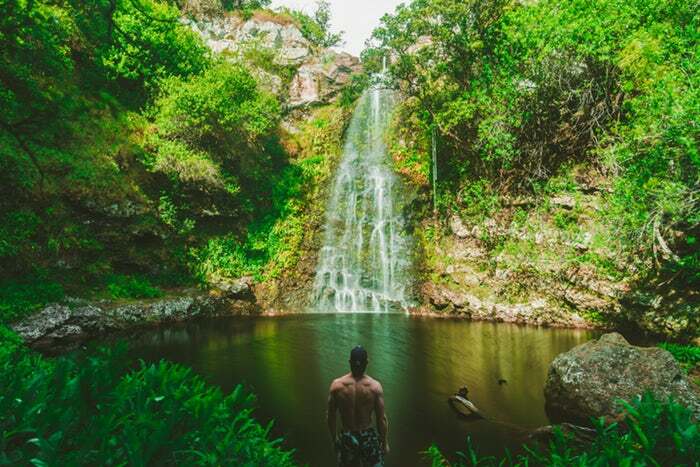 The easy to moderate Manoa Falls Trail traverses through lush vegetation with spectacular scenery. Much wildlife may be observed including many varieties of birds. Please take extra care in the rain as trails may quickly become slippery. Also keep in mind that while the falls are quite a sight to experience, swimming may be hazardous and is not recommended. Also known as the Kaiwa Ridge Trail, the Lanikai Pillbox Hike winds along the Kaiwa Ridge on Oahu. 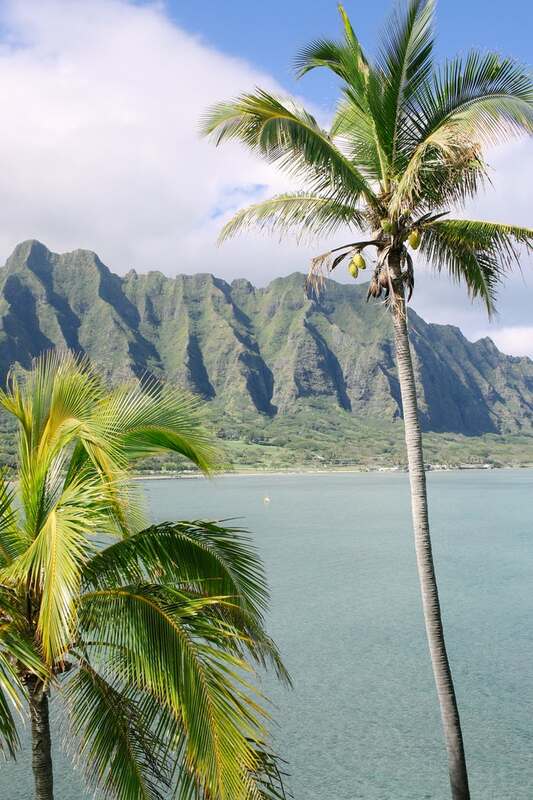 It leads to a stunning view of Lanikai Beach and the Mokulua Islands. Its nickname “pillboxes” come from the boxes scattered along the trail. This hike is especially recommended for beautiful coastline sunrise views. If hiking with the sunrise in mind, begin early and bring a flashlight. 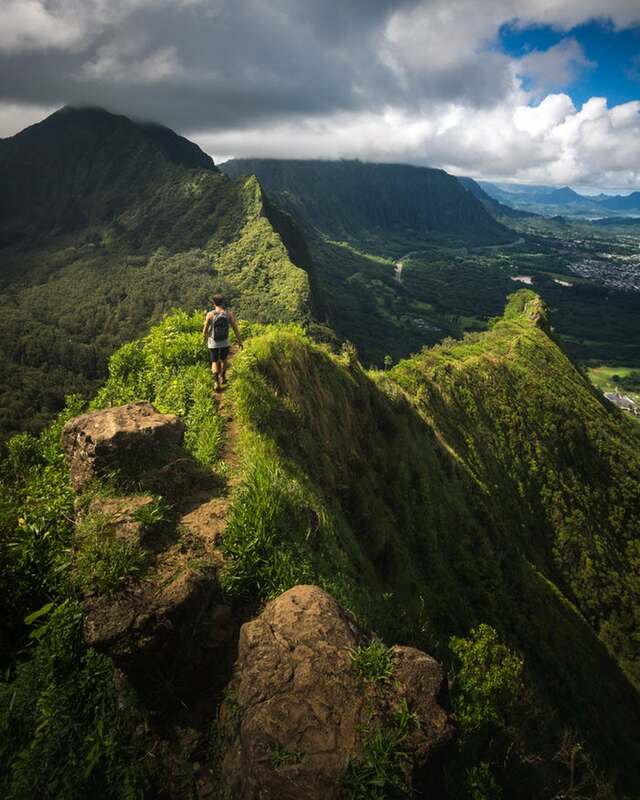 One of the more dangerous or adventurous hikes is the Olomana Three Peaks Trail on Oahu. Caution is especially advised here as there is no room for error. It is very steep with many drop-offs. 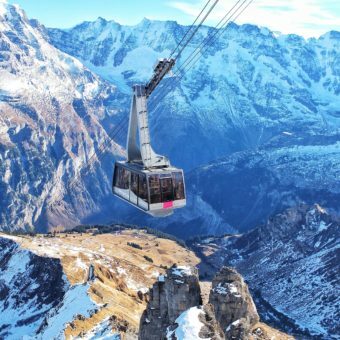 Do not attempt this hike if you have any fear of heights. Dry days are the best to plan this hike. Peak One is strenuous with drops on both sides. 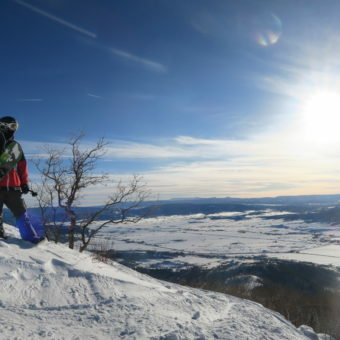 Peak Two is less challenging with stunning views. Peak Three is only for the most experienced mountaineers. 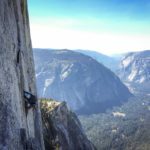 This trail is popular with mountain bikers and rock climbers alike. 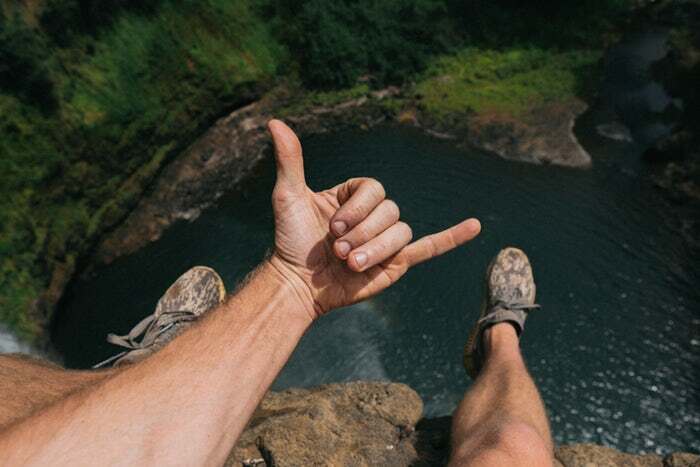 Before undertaking any hiking trip in Hawaii, there are a few unofficial rules for all hikers as even the easiest hike may be dangerous. Preparation is key to success. Always tell someone where you are going! Proper footwear is a must. No sandals. Considerations for changeable weather is on the list. Flash flooding remains a constant threat, so beware of that possibility. Pay attention to ground conditions as slippery mud can be treacherous especially on steep slopes. Be sure to pack enough water for each hiker (½ liter per mile) and include plenty of snacks as well as sunblock. Also, there are many areas that are sacred to locals, so treat all areas with respect. Always make note of trail difficulties and only traverse those you know you can handle. 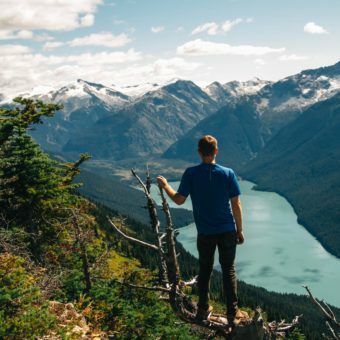 Some hikes include dangerous cliff walks, where fatalities have occurred. Personal safety needs to be a priority. One last thought, beware of the temptation for the ultimate selfie. Use care when planning your photos. 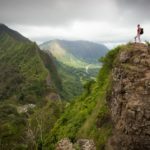 Choices for hiking seem endless in Hawaii, so before you leave for your trip, be sure to research. 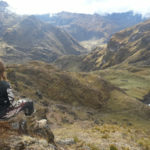 Only a few hikes are summarized here, but there are many. When planning, in order to make the most of your trip, know your strengths and consider carefully. 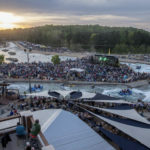 Most of all enjoy this spectacular experience! 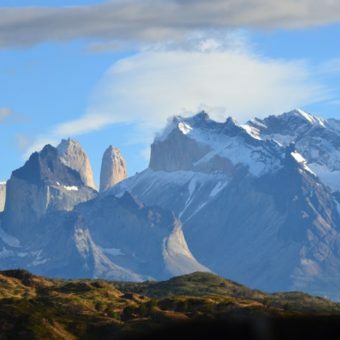 Chile / Patagonia, The Adventure Mecca?